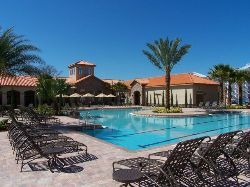 Mystic Dunes Resort and Golf Club is located just a 10 minute drive from Walt Disney World and in a prime location to all the other wonderful attractions Orlando has to offer. 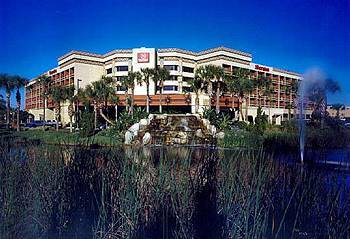 Within a 20 minute drive you could be at Universal Studios, Islands of Adventure and Sea World. 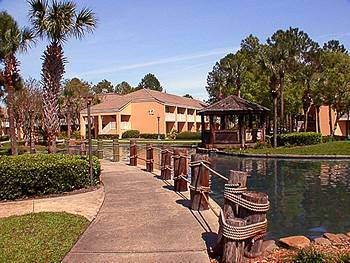 The resort is situated on over 600 acres of rolling hills, lush Florida nature preserves and beautiful tropical landscaping. All of the one bed and two bedroom deluxe apartments are located around the well tendered gardens or one of the many swimming pools, all offering relaxing views. The open plan living and dining areas offer a wet bar, open plan kitchen with every amenity possible with full oven and hob, large refrigerator, microwave, coffee maker and washer and dryer. The bedrooms are ensuite and in the master suite you have your own private whirlpool bath to soak in and relax from either the busy day at the attractions or on the links. The living and dining areas have plenty of space to unwind and come with cable TV and DVD player. The one bedroom apartment will have queen or king bed and a convertible sofa bed in the lounge area. The two bedroom apartment will have a king size bed in the master suite, queen bed in the second bedroom and a queen convertible sofa in the lounge area. 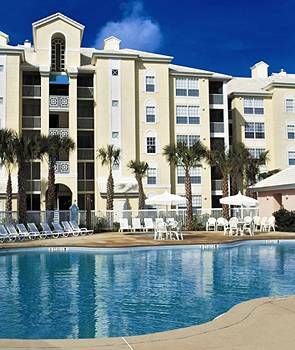 All apartments have either a screened-in balcony or patio and plenty of space for al fresco dining.